Get yourself an extra helping of raisin pie for posting that! I cut mine to 3" length but you can use a sleeve up to about 4" maximum. 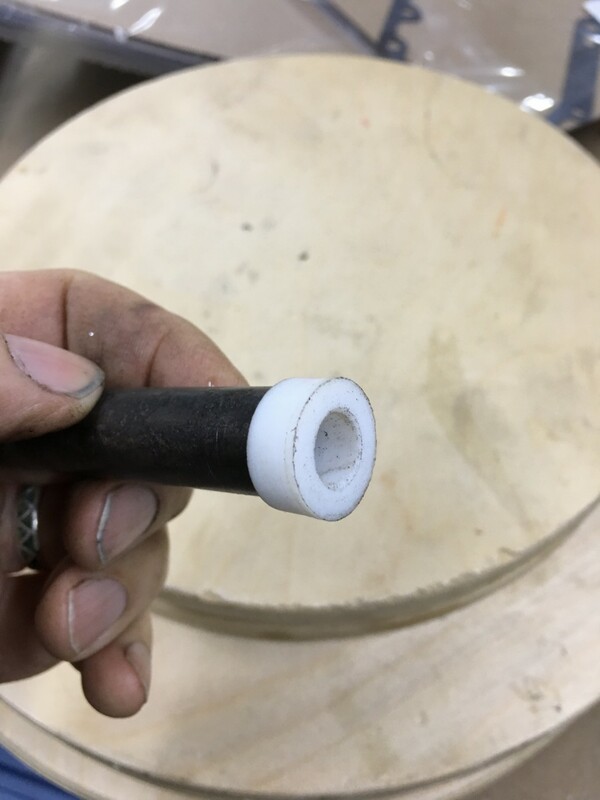 It fits snugly, so you'll have to dress the cut end on the inside. 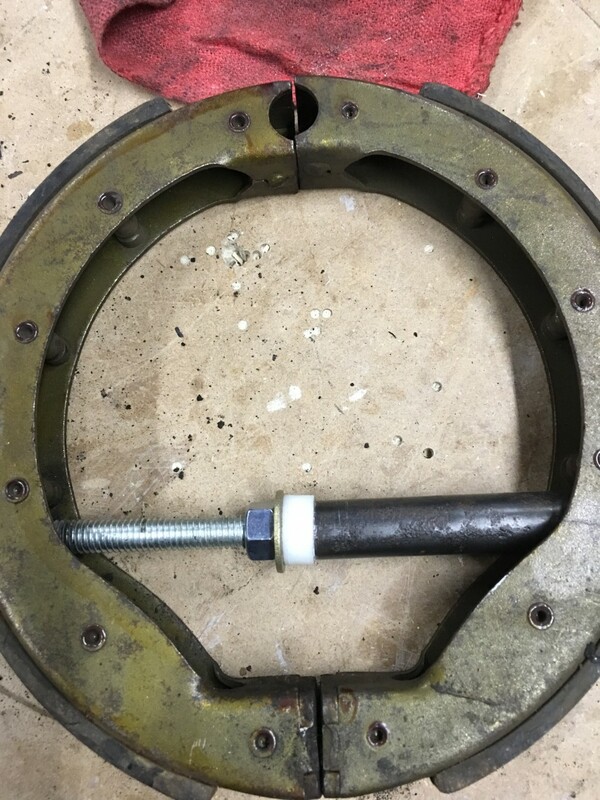 The carriage bolt head tends to hook around the "post" on the brake shoe, so I ground my bolt head down to avoid that but I don't think it's necessary. All-in cost: $4.75 (but I used a nut that I had in my drawer, so call it $5). I know that I have broken a sweat doing that job. Nicely done. Here’s my take. 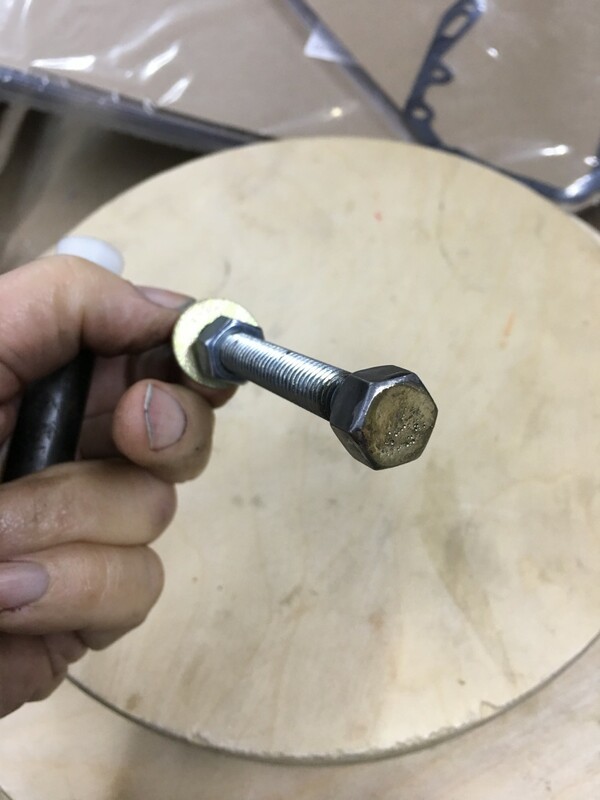 I turned a Delrin bushing that I pressed into a piece of 4130 tubing and brazed a nut onto a piece of 3/8 all thread.